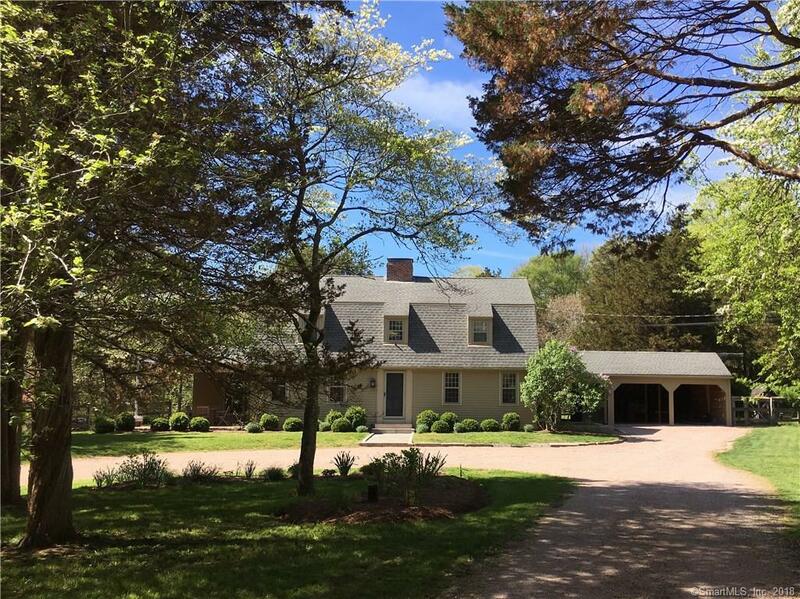 This brilliantly located, Gambrel Colonial has all the privacy of the country, while being just minutes from Stonington Village and Mystic. A highly efficient two-zone GEOTHERMAL heating & cooling system provides complete climate control at low cost. Rooms are filled w/ natural light & refinished mahogany, cherry & pine wide board floors throughout. Formal living room, formal dining room & cozy family room all offer wood burning fireplaces and/or wood stove inserts. Fully renovated eat-in kitchen (2014) w/ shaker-style cabinets, pine floors, quartz counters, center island, stainless appliances & large bay window w/ views of patio & gardens. Large master suite with a cathedral ceiling and skylights has its own balcony & a newly renovated master bathroom. All upstairs bedrooms, each with their own full bath, are spacious & contain plenty of built-in storage spaces. Additional features include a bonus room off the kitchen, highly utilitarian mudroom, two car garage, in-ground pool & pool house, chicken coop & potting shed/breezeway. Property is surrounded by stone walls & yard featuring professionally landscaped perennial gardens & mature trees. This beautiful, classic home with its private New England setting provides endless comfort. Additional 3.42 acres available!